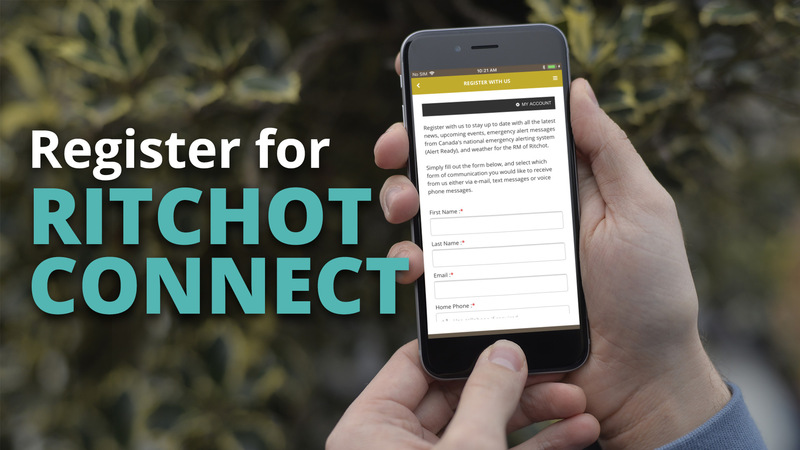 Ritchot Connect is a new communication system that allows the Municipality to share community information with residents on a regular basis and on multiple platforms. Ritchot Connect will send you what you want to know through your chosen medium of communication. You can decide if you want to be notified about road closures, changes in garbage pick-up, community events, recreational opportunities, council meetings, or economic development in the Municipality. Ritchot connect will also automatically send out emergency alert messages. By integrating Canada's national emergency system (Alert Ready) with Ritchot Connect we can ensure our communities are notified immediately if there is danger. Stay informed, stay safe, stay connected.